Pros: This water pipe is remarkably smooth, fills and clears very fast, and a screen will fit perfectly under the 19mm female joint. One of my favorite features is The percolators are reinforced to the tree trunk/tree percs. I searched through all the web sites I could find in the us and finally came to find this shiny new gem. Also I live in Washington so my water pipe arrived in about 3 days! 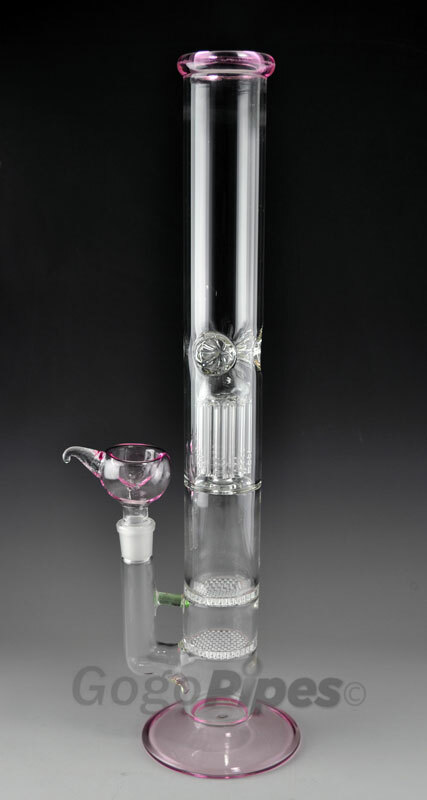 Cons: This pipe is hand blown so it's not perfect like other more expensive water pipes but for the price and quality of this triple tree to a honeycomb water pipe you can't find this sort of a deal anywhere else! Comments: Look no further you found the best bong for the best price. Comments: overall, 10/10. buy one. you wont regret it! Pros: A very beautiful and functional piece of artwork. a very smooth smoke when using ice cubes & chilled water (filtered). Well worth every cent, euro or whatever currency you use. Cons: Very heavy, dark glass, ...but that's why I bought it. Comments: I've never used a bong b4, It impressed me from day one! I broke the slide the first day (hour) I had it...used masking tape to hold the bowl on, I'll get a new one when I order my AC115 Ash catcher! TY DODO!! Pros: Man this thing rocks!!! !Hits very easy and smooth-even mo betta wit an ashcatcher preferably a 3 or 4 arm diffused!! 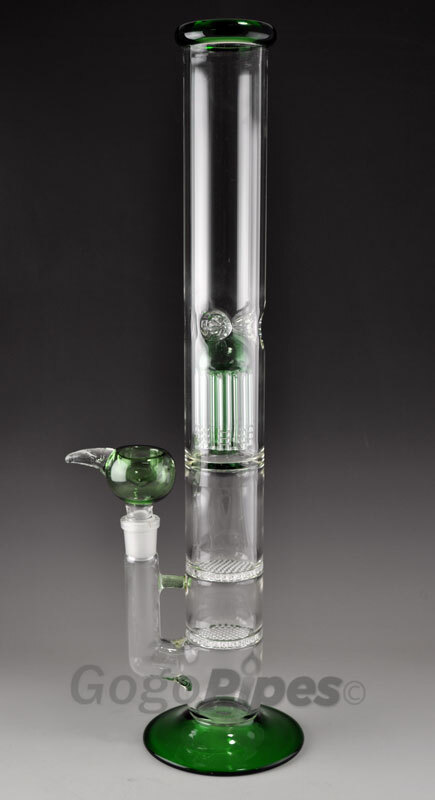 Pros: Awesome, thick, heavy water pipe. Great filtration from the diffuser and the tree percs. Cons: My wife broke it on the second day. Comments: I will buy a new one, best water pipe i've ever had. 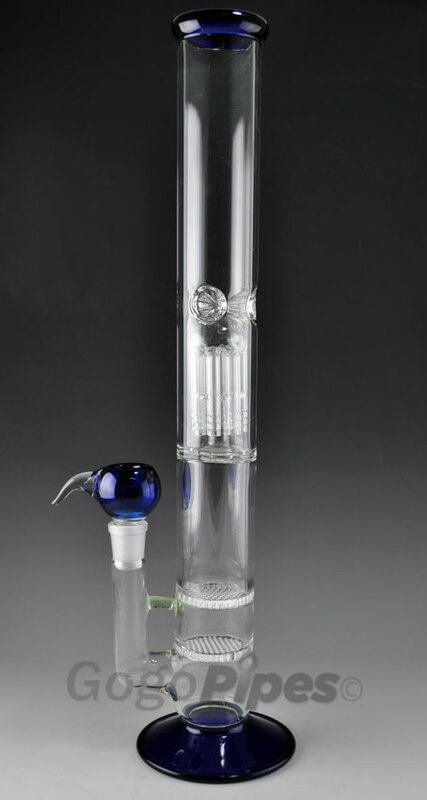 Pros: Good functional artistic easy to clean high quality glass parts. Personally, once is now good enough, and I waste not. Cons: Wish I could clean out the inner chambers. Comments: The way prices are why waste any more.